Dr. Ly is proud to offer both Invisalign & Orthodontic Braces in Newmarket, Ontario. Invisalign aligners provide a transparent method of straightening teeth that differs from conventional braces. Rather than using metal brackets and wires, Invisalign treatment involves the application of two smooth, clear aligner trays. 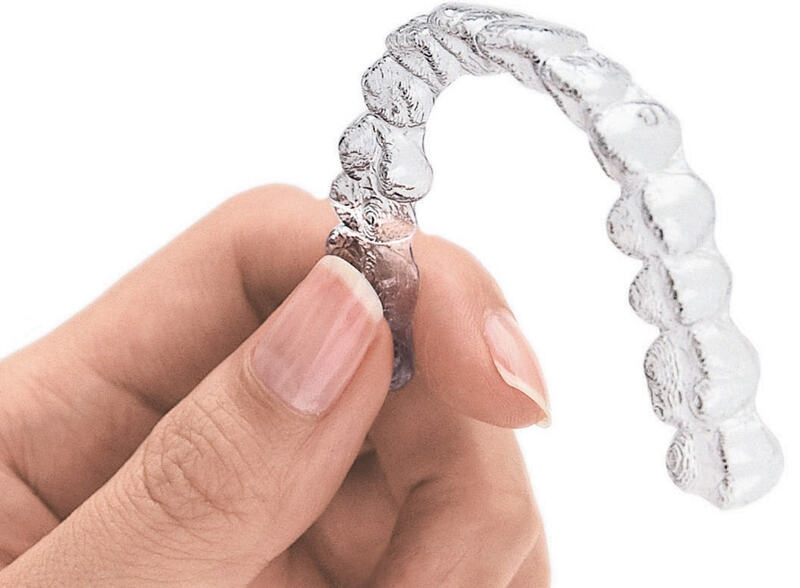 These trays are comfortable to wear and practically invisible to others, but like braces, they are capable of gradually shifting your teeth into a better position. After you see Dr. Ly and have your new aligners fitted, you’ll wear your first set for two weeks. After the initial two week period is over, you will return to Dr. Ly’s office to have a new, adjusted set of aligners placed. The whole process is painless, convenient, and simple. Once your Invisalign treatment is complete, you’ll have recognizably straighter teeth—and no one will have even noticed! See our main page for Invisalign specials. Dental braces (sometimes also referred to as orthodontic braces) are precise metal alignment systems used in orthodontics to straighten crooked teeth and correct bite issues. In doing so, they can help prevent undue wear and tear from being placed on the patient’s teeth and protect them from future decay. Some of the problems that braces correct include overbites, underbites, crossbites, bites that are too open or too deep, and malocclusions. 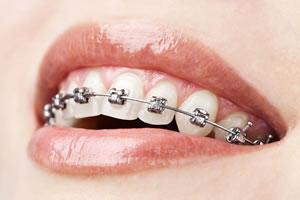 Braces are sometimes combined with other structural therapies to assist in widening the palate or jaw. They can also be used for cosmetic reasons, such as straightening slightly crooked teeth. If you need a consultation about Invisalign & Orthodontic Braces, contact our Newmarket dental office today!